I can only imagine what my wife would do with my project C36 AMG if I went to the big junkyard in the sky. Inheriting cars is a tricky thing for the new owner as they may not share the same enthusiasm or have the knowledge to keep a car going. Today's seller has done an admirable job keeping this turbo charged Corvair roadworthy, but is now looking for a enthusiastic new owner to take up the stewardship. This looks to be a real original survivor car that is rarely found. 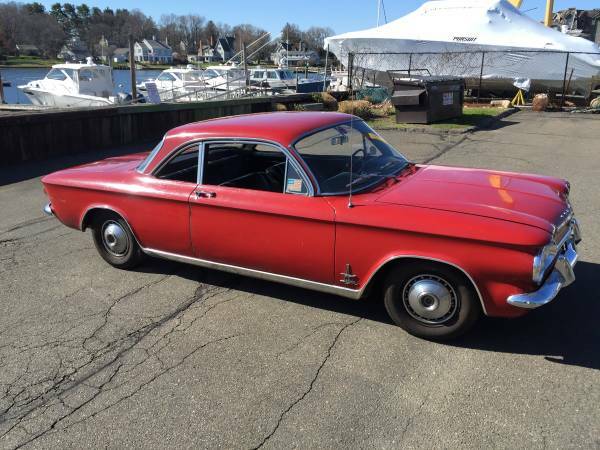 Find this 1964 Chevrolet Corvair for sale in Darien, CT for $8,500 via craigslist. 1964 Chevrolet Corvair Spyder Turbo red coupe with only 10,000 miles! After being garage-stored for close to 40 years, and recently inherited, this unrestored beauty has returned to the road. The car is clean; engine compartment and interior are immaculate. Has been well-maintained by me for the past two years, runs great, and is lots of fun to drive. 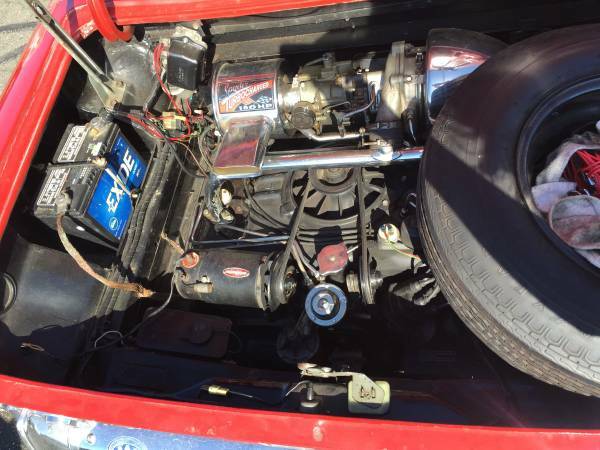 Four-speed manual Turbo, with lots of extra parts included, NOS, exterior trim, and more. Looking for another car lover to adopt and enjoy this classic. Asking $8,500 but reasonable offers will be considered. 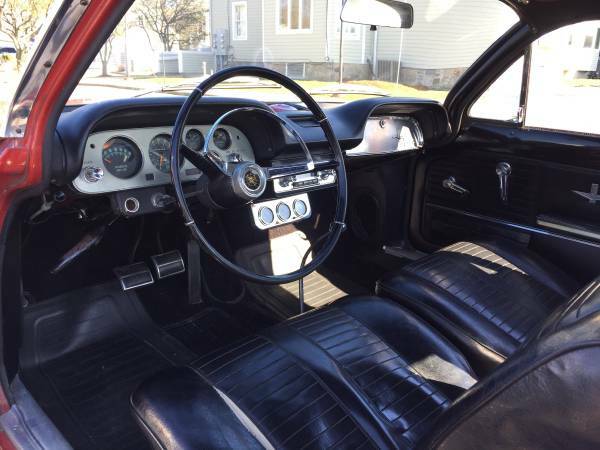 I admittedly do not know much about the Corvair market, but this seems like a good deal for the most desirable 180hp model. The only obvious change to first make would be to ditch the wheel/hubcap combo for a set of Cragar style wheels. The massive stick shift lever is really a throwback. '64 corsair spyder turbo is 180hp now 150hp if I remember. I love them. My friend Greg had a black one in high school that he restored with his father. 80mph on I75 in Ohio, threw a rod out the right rear fender. Sad. This guy followed his dream with Corvairs. I am pretty envious of his shop.